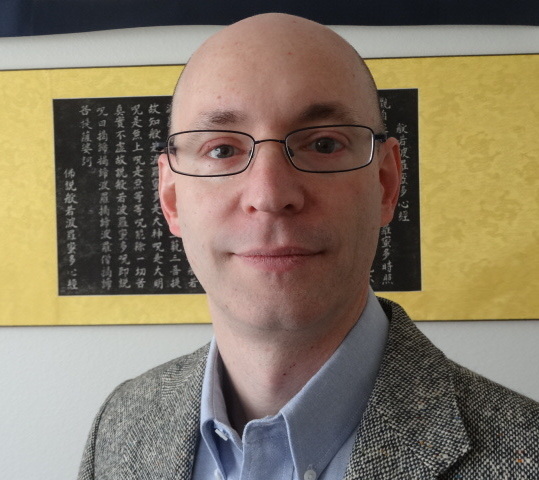 I'm a freelance writer of both fiction and nonfiction, a translator of Classical Chinese, a poet, and practitioner of Thomas Shelton's Tachygraphy. Here you'll find a little bit about me, a linked bibliography of my writings, and my manually-updated, aperiodic blog. You'll also find a page containing downloads of popular information and articles from previous versions of my website, including how to build a command-line-only Debian Linux system on a USB stick, a copy of an early pamphlet on thrift that might have influenced Benjamin Franklin, and how to be a Digital Renaissance Man (or Woman). I grew up in western New York and northeast Ohio, and started writing in high school. As an undergrad in college, I studied Chinese Language and Literature, with an emphasis on Classical (ancient) Chinese. After graduation, lived and worked overseas in China, Poland, Kenya and Tanzania. In 2002, I went back to my first love, writing. I have a masters degree in Liberal Arts from St. John's College in Annapolis, Maryland, and a second masters in Science Writing from Johns Hopkins University. I'm a life-long science and technology lover. At some point, I got interested in shorthand, and learned Thomas Shelton's Tachygraphy, an early form of shorthand invented in the 1600's and used by Samuel Pepys to write his famous diaries. I've practiced daily since 2015. As a writer, I've published everything from science articles to science fiction short stories to poetry. I also translate Chinese essays and poetry, mostly from the Ming and Qing Dynasties. You can find examples of my work on the bibliography page. Feel free to email me at: andrew (at sign) andrewgudgel.com. This page last updated on 20181115.